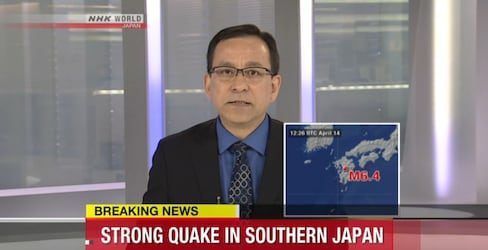 The Japan Meteorological Agency has reported that an earthquake with a magnitude of 7 on the shaking intensity scale struck Kyushu at 9:26 p.m. on April 14. We recommend using social media and disaster message boards to check on loved ones in the area. The JNTO is providing regular updates on the situation in Kyushu following the large April 14 and April 16 earthquakes and ongoing aftershocks in the region. Check for the latest information and recommended apps; we now have donation information as well. This volunteer craftsman is traveling to Kumamoto to help repair earthquake-damaged family heirlooms free of charge. 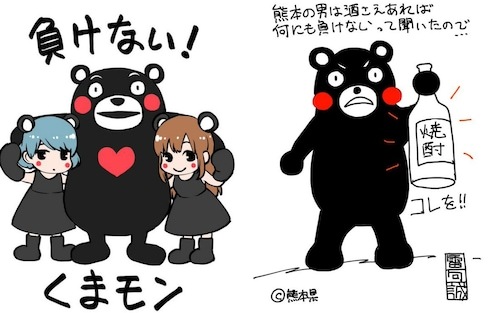 In the wake of the earthquakes in Kumamoto, manga artists took up their pens to sketch heartwarming messages to the people of the prefecture. 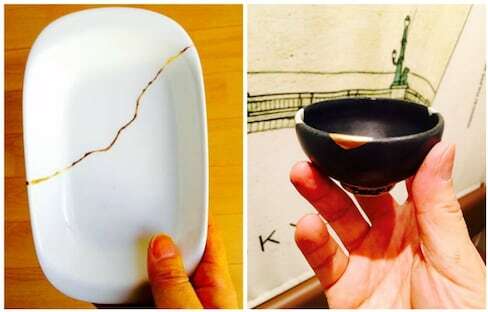 A magnitude 7.3 earthquake struck the Kyushu region at 1:25 a.m. on Saturday, April 16. This follows the strong April 14 quake that killed nine and left over 1,000 injured. With tremors continuing, there are now 41 dead and 2,000 injured since Thursday. Take a look at some photos from the reconstruction efforts for one of the most time-sensitive projects: restoring the Iidamaru Gokai Yagura, a five-story guard tower that was at risk of imminent collapse. 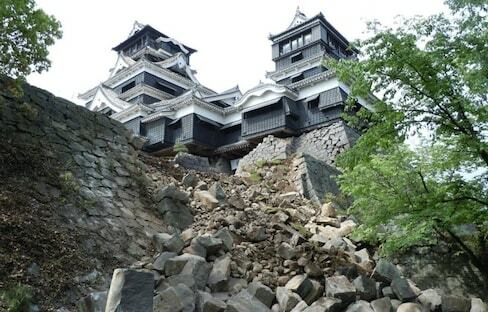 Despite two violent earthquakes and numerous strong aftershocks that damaged its walls, 400-year-old Kumamoto castle remains standing. Two of Japan's biggest beef bowl chain restaurants provide free comfort food in the wake of the Kumamoto earthquakes.